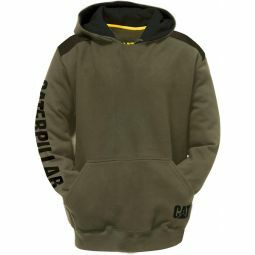 Cotton and polyester material brush back sweater with classic caterpillar branding. Machine Washable. Cotton blended material. Crew neck sweatshirt with Printed Cat branding.